Which Fruits & Vegetables Should Be Refrigerated? For our ancestors, food storage was often quite literally a matter of life and death. Thankfully, today's consumers have access to fresh, nutritious foods all year round. Even so, everyone benefits from proper food storage. Few of us have unlimited budgets, and wastage has an environmental impact as well. Our best weapon in home food storage is the refrigerator, and it is worth knowing which produce items refrigerate well. A simple rule of thumb is that fruits from temperate climates tend to refrigerate well, while fruits from warm climates do not. 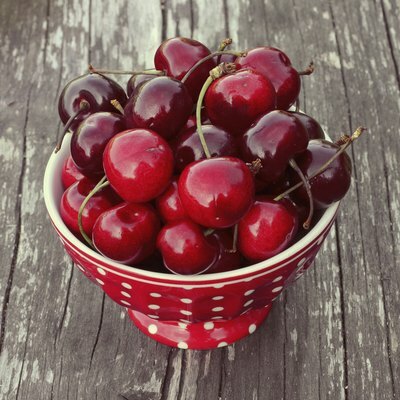 So, refrigerate tree fruits such as apples, plums, pears and cherries. All commercially important berries in North America also benefit from refrigeration. Warm-weather fruits vary in their reactions to refrigeration. Citrus fruits will tend to dry up and become fibrous in long-term storage, but are fine in the short term. Pineapples are best at room temperature, until they are cut. Bananas will blacken in the refrigerator, but the fruit inside does not spoil. On the whole, vegetables are less perishable than fruits, but the same rule of thumb may be applied. Leafy greens and herbs are especially perishable, and must certainly be refrigerated. Others that benefit from refrigeration include broccoli and cauliflower, celery, beets, asparagus and most other common table vegetables. Many vegetables store adequately without refrigeration, but last longer when chilled. These include durable staple vegetables such as carrots, parsnips, cabbage, turnip and rutabagas. A properly working refrigerator maintains a temperature of 40 degrees Fahrenheit or less. Many fruits and vegetables keep best at 50 degrees Fahrenheit or above, and may fare poorly under refrigeration. Fruits such as melons or pineapples, and vegetables including peppers, eggplants, tomatoes, cucumbers and summer squash may actually be better at room temperature in the short term. Store them in a well-ventilated space for the first four or five days, then refrigerate any left unused to extend their life. Refrigerate any cut portions immediately. Potatoes react poorly to cold, and should never be refrigerated. Temperature is not the only factor at work in produce storage. Some fruits and vegetables require higher levels of humidity than others, and are typically stored together at the wholesale level. Many fruits and vegetables are susceptible to the ripening effects of the gas ethylene, which other fruits and vegetables emit in quantity. Many guides provide this information, often in charts that can be printed and hung at the fridge for reference purposes. 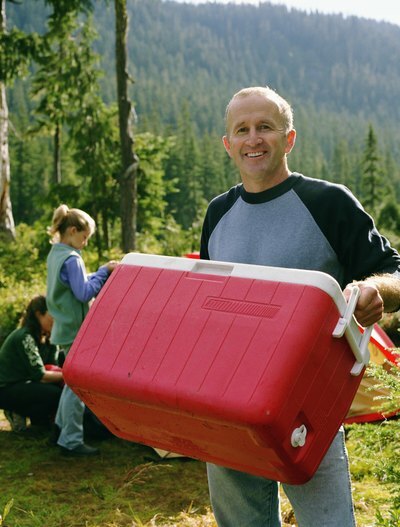 Foods that require cool storage rather than cold may be kept for longer periods in a picnic cooler, with frozen gel packs providing temperature control.